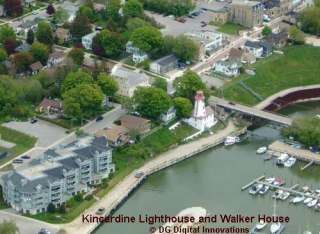 The River Trail begins at the base of the Kincardine Lighthouse (R02). Passing under the Huron Terrace bridge follow the river south beside the fishing club and hatchery. After entering the paved road and starting up the hill keep and eye to the right. The trail will now take you along the river and under the Queen St. bridge. 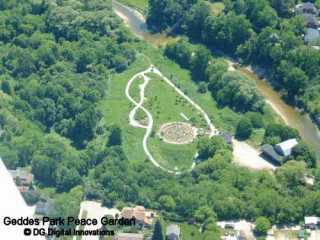 You are now entering Geddes Environmental Park (R08), home of the Labyrinth Peace Garden. 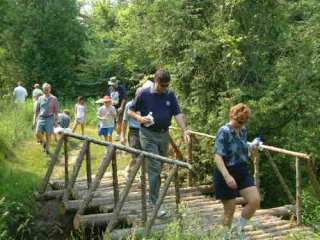 After visiting the gardens continue on until you reach the wooded area. The trail now splits (R09) and is a short loop. In the middle of the loop follow the trail (R10) to the Geddes Bridge (seasonal). 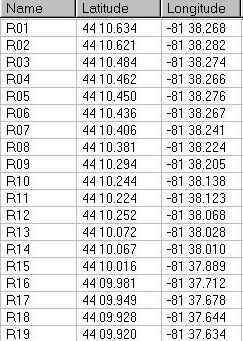 After crossing the bridge bear left (R11). 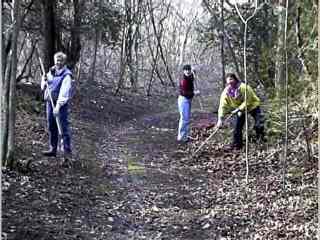 100 metres further on the trail turns right (R12) into the woods and up a moderate hill ( Wayland Walk extension). At the top you will be at the south end of Pearce Lane which lead to the Davidson Trail (Blue Trail) . Continuing straight ahead to enter the north end of McGaw Dr. Walk south on McGaw turning right when you reach Scott. St. At the end of Scott St. look left and walk behind the small brick pump house. Walking down the hill bear left and follow the trail and small bridged area to the bottom. The river is straight ahead and the trail continues into the woods to your left (R14). You will now be following the north shore of the Penetangore River. The trail splits at (R14), take the left trail and watch for a small trail to the right. Look for one of the oldest trees in Kincardine. You will exit the loop at (R15). Keep an eye out for (G19). This is the trail to the south side of the Penetangore River and the Valley Trail (Green Trail). Approaching (R17) there is a small loop. 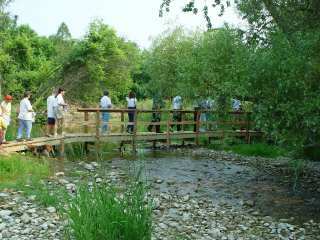 The trail ends at the river junction just beyond (R19).